The Climate Frontlines campaign and the sub-group, Friends of Tulele Peisa, are focused on those at the frontlines of climate change in the Pacific. In particular, the Climate Frontlines Collective raises awareness and funds for people in the low-lying Pacific nations of Kiribati and Tuvalu who are being forced to leave their their communities due to climate change. These island communities are already being displaced by rising sea levels. Film Trailer to There Once was an Island - a film used by CF to raise awareness about sea level rise in the Pacific. In the last week of February, Wendy Flannery, the Climate Frontlines convenor, participated in a capacity building workshop on climate change in Savusavu, Fiji, titled: "Connecting the Dots: learnings from community based adaptation and migration to promote climate resilience, and how these can influence national and international policy". 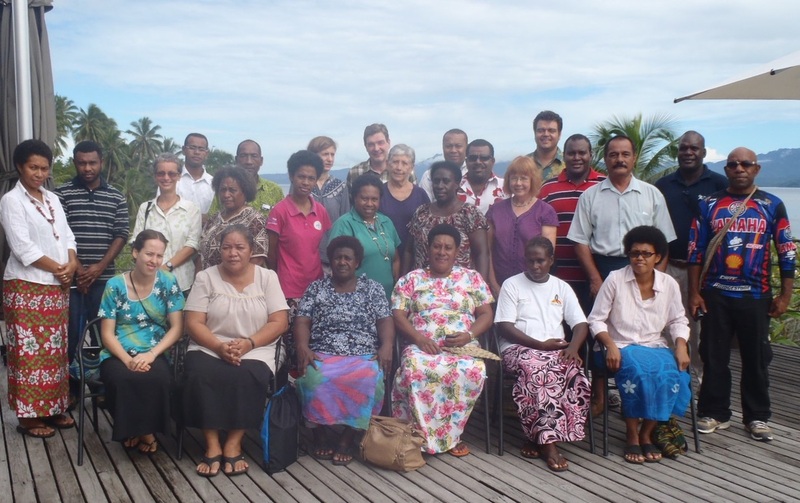 The workshop was co-hosted by the Pacific Conference of Churches and Bread for the World. The participants represented two programs in Papua New Guinea, two in Fiji, and individual representatives from Kiribati, Tuvalu and Solomon Islands. A report on the workshop will be available in the next edition of the FoE Australia magazine, Chain Reaction. On 23 May 2014, Climate Frontlines co-hosted with the QUT Faculty of Law a one-day interdisciplinary symposium with the title: When People Have to Move: climate change related displacement and pre-emptive migration pathways in the Australia-Pacific region. * Major presentations at the symposium will be published in a special edition of the journal of the QUT Faculty of Law. 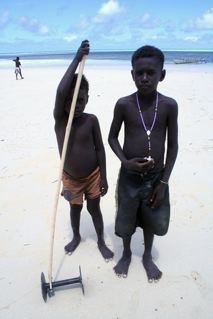 Advocacy with and for torres strait islanders facing the impacts of climate change.